In the 1985 Tim Burton film Pee-wee’s Big Adventure, the titular character steadfastly refuses to give up his super awesome red bicycle, saying that he wouldn’t ever sell it for "a hundred million, trillion, billion dollars." 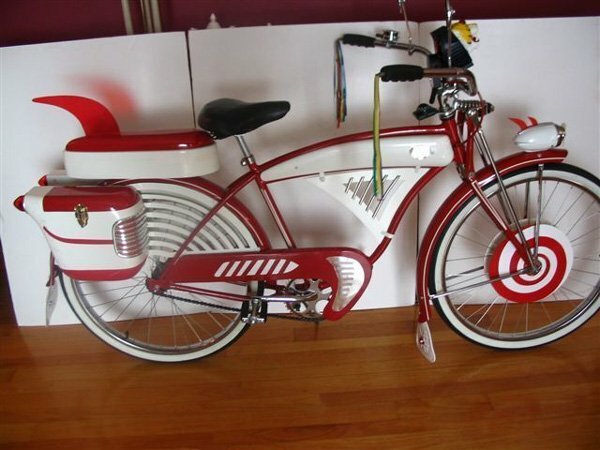 Well it would appear that times have changed just a bit, because yesterday an original bike that was used in the movie was sold on eBay for $36,600 (found via Today). 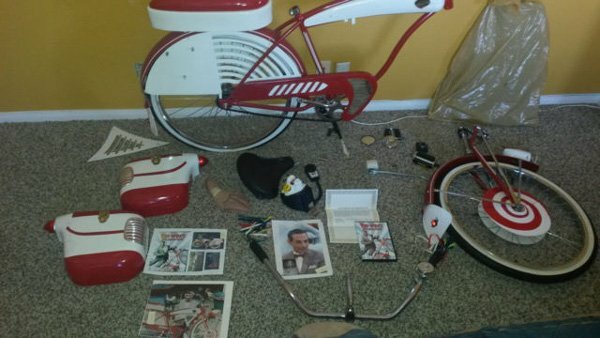 Certifying that the bike is real, the auction also came with "an autographed photo of Paul Ruebens, a photo of him signing the photo, [a] letter/certificate of authenticity, [and a] Warner Bros. plans/spec sheet on the red cargo boxes." You may now find yourself asking why the bike is in pieces. Apparently the seller – username usmc_vet2008 – had a buyer lined up who wound up backing out of the deal. The owner had disassembled it for shipping, and didn’t "have the time or urge to re assemble it only to take it apart again for the next buyer." Basically, the person who ended up buying the lot hopefully knows how to assemble a bike. As far as movie props go, this is a pretty awesome one to have. It’s not only instantly recognizable to the thousands if not millions of people who have seen the film, but also a pretty nifty looking bicycle. After paying $36,600 for it, however, the new owner should definitely keep it under lock and key. Or, better yet, he can recreate the security system in the movie!